Even though you may have a number of different Fort Collins carpet cleaners to choose from, it makes perfect sense for you to only select a company that you feel you can trust. Here at Comfort Carpet Clean, we have both the experience and expertise that you are seeking for your carpet, and we can deal with any problem no matter how severe it appears to be. 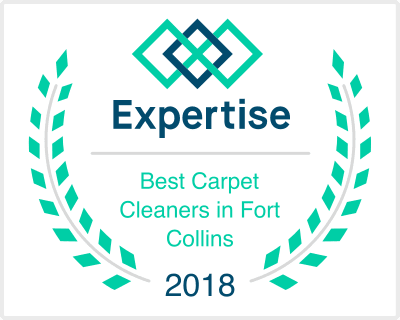 Often, individuals will find themselves venturing online to their favorite search engine to seek out the different carpet cleaners Fort Collins offers because of a mishap that has occurred. However, we do not only deal with those accidents that can leave a stain or a mark as we also provide a home service to just keep those carpets and rugs as fresh looking as possible. After all, it is known and accepted within the industry that regular deep cleaning of your carpets will not only have them looking and smelling good, but it will also prolong their lifespan. Furthermore, our technicians are fully equipped with the latest technology and utilize the latest practices connected to getting your carpets looking in pristine condition. Because of this, we not only feel confident in saying that you will be more than happy with the end result, but you will be amazed at how we can turn even the most tired and dirty looking carpet into something that is just out of this world. Also, you may even be concerned about the cost or the length of time it will take for us to complete the job at hand. Well, we will constantly work at not only providing you with the lowest prices possible, but thanks to the equipment that we use it also means that the job itself will take only a fraction of the time that you would expect. It is also important to stress that we are fully insured as well, so you will also have no need to be concerned about any mishaps or what would happen in those instances. It is all part of our quest to put your mind at ease no matter what is going on as we firmly believe that it all adds up to us having a whole host of happy customers that will keep on coming back to us over and over again. No carpet cleaning job is too big or too small, and no job will ever be too tough for us to handle. So, stop flicking through the various carpet cleaning services Fort Collins offers because you have found what you are looking for. You can contact us here at Comfort Carpet Clean by either giving us a call or via our website. Someone from our team will be in touch to then discuss the issue at hand and we will then take it from there with it ultimately leading to you having your carpet back in pristine condition.